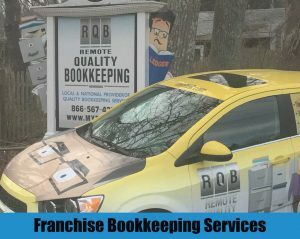 Remote Quality Bookkeeping is a leader in the franchise bookkeeping services industry. Our bookkeeping services are designed to help both the franchise owner and the franchisee owner. We are bookkeeping experts that will keep your books up-to-date, create accurate financial statements, and make tax time a breeze. As a Franchise owner, you want to ensure the success of your current and future franchisees. Many franchisees fail due to flawed bookkeeping practices – don’t let that happen to your franchisees. By utilizing our services, your franchisees will be able to focus more on their business, resulting in higher profits for them and for you. As a franchise bookkeeping preferred vendor we will work with you to standardize franchisees chart of accounts and franchisees reporting. Our franchisee bookkeeping services will keep each franchisee’s books up-to-date, accurate, and consistent, which will allow you to compare franchisees and easily determine if the franchisee is profitable or not. When your franchisees use our bookkeeping services you have a unique opportunity to access a customized dashboard at no additional cost. By utilizing our Qvinci dashboard system you have instant access to view your franchisee’s financial results at anytime, anywhere. useful benchmarking, ranking and comparative tools. The tools available are all further customizable to ensure all your needs are met. Unfortunately not all franchise owners have the foresight to use our franchise bookkeeping preferred vendor services and this leaves the franchisee to do their own bookkeeping and comply with the franchise reporting requirements or find a qualified bookkeeping services company to assist them. Often times a franchisee will begin by doing their bookkeeping themselves, but they soon get overwhelmed and the bookkeeping begins to stack up. This leads to out-of-date financial information that cannot be used for making business decisions or, worse yet, leads to poor decisions making. The good news is Remote Quality Bookkeeping is an industry leader in franchise and franchisee bookkeeping services. We offer a variety of bookkeeping services from day-to-day functions to year end preparation. You get to customize your bookkeeping service package and choose whichever services you need. If multiple units of your franchise also take advantage of our services you will be able to make valuable comparisons between them using our customizable dashboard system. You will be able to view important benchmarks and rankings to effectively evaluate your situation using our franchise bookkeeping services. Our dashboard system has the flexibility to create reports that only show you the details you want to see, such as cash flow, bank account balances, and important performance indicators. With us, your bookkeeping is always up-to-date and accurate and we can generate the required reports for you when you need them. If you choose to take advantage of our dashboard system the required reports and data can be automatically synchronized and sent to your franchisor. Read the full franchise bookkeeping story.